Are Cluster Headaches as Rare as They Say? I never saw myself running a support group of cluster headaches. Sure, I’d connected with several people in Denver, but it wasn’t until a fellow patient asked, “Is there a cluster headache support group I can go to?” that I realized it was not only a great idea but a necessary one. It was one of those “duh” moments because I was already fielding phone calls every other day at all hours. That was how the Denver chapter of Clusterbusters began—with one simple question. 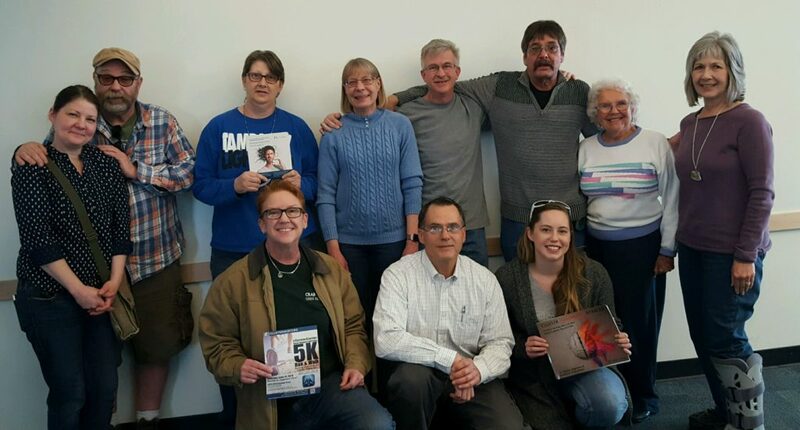 Our January meeting marked two years since our inception, and in that time, we have gathered more than a dozen cluster headache patients in the Denver area to meet monthly or quarterly, depending on the season. Last year, we organized the first-ever 5k run/walk for cluster headaches, which is back this year! The #CureforCluster 5k will take place on June 16, 2018, at deKoevend Park in Centennial, Colorado. A beautiful park with ample space and trails. We’re not the only support group for cluster headaches, though. There’s a Michigan Clusterheads meeting coming up on May 6th in Lansing, and California has regular meetings as well. I and several others on the Clusterbusters board have been asked about the steps needed to start a cluster headache support group in your area. I got lucky at first because my headache specialist would send her new patients to our group and feel that’s what helped us gain a following, but I also utilized Facebook groups and MeetUp.com to spread the word. I’ve broken down my advice into three easy steps to help you establish and continue a support group in your area. Before we dive in, it’s important to remember that these meetings are indeed about supporting each other and sharing your struggles and advice with others. Some of us are seasoned pros when it comes to living with cluster headaches, but newcomers often feel overwhelmed and just want the pain to end. That’s why you’re there—Share, Listen and Advise. Proper oxygen use is something we strive to mention at every meeting because it’s rare for a newcomer to have the correct setup and breathing technique. You may even want to have a demo at one of your first gatherings! Our first meeting in Denver involved me and two other episodic clusterheads sharing drinks at a local pub. We took pictures and posted about it on social media (mainly Facebook groups for cluster headaches). By the time we met the following month, we’d more than doubled our numbers. Two years later we have at least ten people at each meeting, but we’ve dialed it back to once every other month. Our affiliation with Clusterbusters has helped build our numbers along with a close relationship with neurologists and headache specialists in the area. Most doctors don’t know what to do with their cluster patients so having a group to point them toward helps everyone involved. 2. Find a Good Meeting Place & Stick With It. We continued to meet at local restaurants until our group hit 10+ people. We needed a space where we could speak openly about alternative treatments and actually hear what the person across from you was saying. I contacted the Denver Library system and figured out which libraries had a meeting room available during our meeting times. We jumped from library to library for a bit before settling on the Schlessman Family Branch Library as our go-to meeting spot. They charge $10 per hour, and we typically meet for two and a half hours. We try to split that as much as possible while also asking for volunteers to bring snacks and drinks. The main thing to consider when looking for an ideal meeting place for your cluster headache support group is the price. Some restaurants have a food and beverage minimum while others want an upfront fee. You may find a coffee shop willing to give you a break, but they probably won’t do it monthly. Churches and schools also have meeting rooms you can rent, but personally, I prefer the library. 3. Have an Agenda for Each Meeting and Set Goals. Quick intro of everyone—Name, episodic or chronic, how long, and where you’re from. Discuss the current studies on cluster headaches and how to participate. What do you use as abortives and preventatives? Do they work for you? What’s your worst memory of an attack or your worst experience with cluster headaches? What’s do you (supporters only) struggle with most as a supporter of a loved one with cluster headaches? Advocacy—What we can do to raise awareness of cluster headaches? What are cluster headaches to you? (Supporters and patients) What do they feel like or how do you describe them? Oxygen demonstration with the cluster-specific mask, 25 lpm regulator, and an E tank. 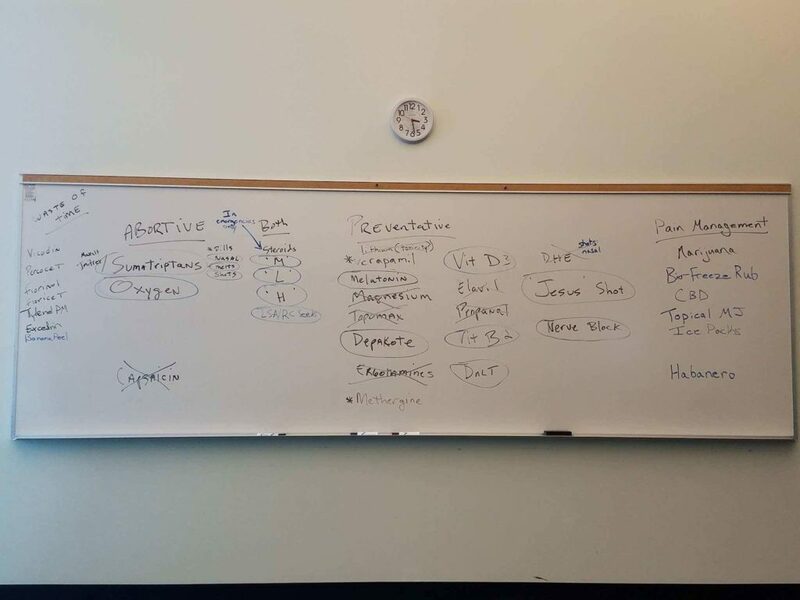 List out abortives and preventatives we’ve taken and rate their efficacy. What alternatives have you tried? How well do they work for you and would you recommend we try them? 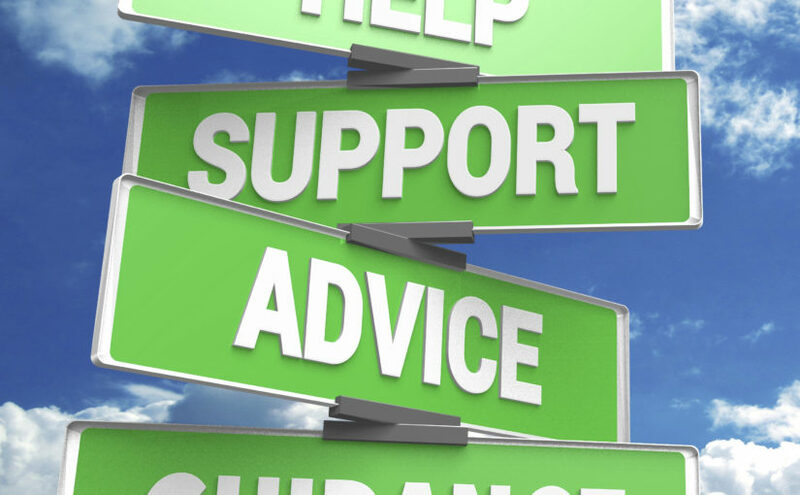 Starting your own cluster headache support group may seem difficult, but it’s much easier than you think. Organizing and leading these meetings takes up maybe two hours of my time from meeting to meeting. That includes the time it takes to gather materials such as the oxygen pamphlet created by Clusterbusters, t-shirts to giveaway, etc. along with compiling the agenda for the next meeting and creating a Facebook event. When you schedule your first meeting, let me know by emailing ashley@clusterbusters.org so we can create a Facebook event for you and point patients your way.